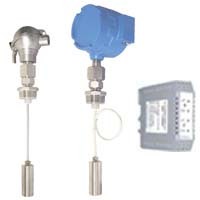 The Intempco series LTX40 cable capacitance level transmitter is designed to measure liquids in high metallic tanks or when top side access is limited. The probe measures level by measuring the change in capacitance as level changes in the tank. The microprocessor-based electronics converts this capacitance change into a linear, highly accurate 4-20mA signal. The compact, microprocessor-based design makes installation and setup a simple task. The advanced signal conditioning circuitry greatly minimizes the adverse affects of coating media. The series LTX40 is truly designed with tough applications in mind. Good for limited top side applications.